Would you like to have a view of the forest during your stay in the second largest city of the Czech Republic, or would you prefer to look out at a urban landscape from your apartment instead? Take a look at the offer of rentals in Brno-Líšeň and find your accommodation for 2 weeks or even 12 months. The Flatio map will clearly show you where each rental offer in Brno-Líšeň is located. Have you already found the perfect apartment for you? Don’t hesitate to reserve it. Not terribly convinced by rental offers that only come with a photo gallery and don’t have any ratings or reviews of previous tenants to support their claims? On Flatio, we completely understand that, so we've prepared virtual tours for even the very newest rental offers on our website, and you can check them all out from wherever you currently find yourself in the world, as long as you have an internet connection. The virtual tours allow you to explore each apartment in its entirety and at your own pace, making it much easier for you to make a decision about which rental to go for. Get yourself a rental in Brno-Líšeň on Flatio. Brno-Líšeň is an area about 15.71 km² large, and according to the 2011 census, it is inhabited by over 26 thousand people. Would you like to be one of them for 2 weeks, a month or even a whole year? Rely on Flatio and choose a short-term, medium-term or long-term rental in Brno-Líšeň from the offers on our website. This part of Brno has a rich history, stretching all the way to prehistoric times. Immerse yourself in it and discover the exciting past of the second largest city of the Czech Republic. In your free time, you can visit the Belcredi chateau or the Chapel of Our Lady of Help, for example. What better proof that your chosen apartment is of high quality than the ratings of its previous tenants? Check out the best rated rentals on Flatio and rely on the reviews of other travelers – they have objectively assessed whether the apartment descriptions are true and accurate. This way, you won’t have to worry whether everything will be alright upon your arrival; you can rest assured that nothing will be missing or faulty. You can’t go wrong if you choose from the best apartments in Brno-Líšeň, so be smart about your choice of accommodation and you’ll be sure to have an enjoyable stay in Brno right from the very beginning. The Flatio startup specialises in short-term, medium-term and long-term rentals ranging from 14 days to one whole year. Going to Brno-Líšeň for some time and still searching for a place to comfortably live in during that period? Check out the Flatio website and choose from the offered rental apartments. Are you reluctant to spend 14 days of your stay in Brno in a hotel or B&B? Would you like to have your privacy and stay in a home environment? If so, choose to stay in a rental apartment in Brno-Líšeň for two weeks on Flatio. Are you going to be working or studying in Brno for a whole 4 weeks? Or perhaps you’re preparing for a long vacation trip on which you will discover all the nooks and crannies of the city? 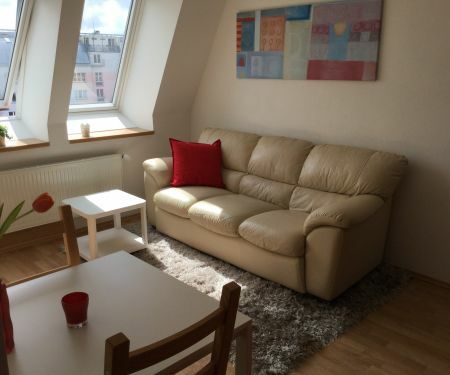 Opt for a month-long rental in Brno-Líšeň and have your accommodation sorted out in advance. Not terribly eager to live in a hotel for half a year? Would you prefer to stay in an environment where your privacy won’t be constantly invaded by strangers? Find a rental apartment for 6 months in Brno-Líšeň on Flatio and feel at home even during your travels. Are you going to Brno for a year-long Erasmus stay, or maybe for a lengthy work trip? Whatever the reason for your visit may be, you are definitely looking for a nice place to live in during your stay. 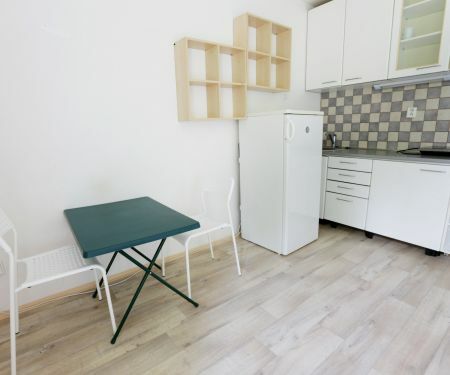 Find yourself a rental apartment for 12 months in Brno-Líšeň. Long gone are the times when you’d need the help of real estate agency in order to find a nice rental. With a bit of help from Flatio, you can now sort out your accommodation for 14 days, half a year or even 12 months by yourself, and from anywhere in the world where you are currently staying, at that. Take a look at our website and browse the rental offers in Brno-Líšeň, which are all completely without a real estate agency, high commission fees or deposit. Nowadays, you can easily get by without the services of real estate agencies and avoid their unnecessary fees. On Flatio you will pay only a 19 € reservation fee and a service fee calculated according to the length of your stay. We won’t ask for any other payments! Going to Brno for a couple of weeks or months and currently looking for a rental which won’t require you to pay a deposit of up to several months‘ rent in order to conclude the contract? Check out the rental offers on the Flatio website – all of them need no security deposit.